I participated in this sponsored campaign on behalf of One2One Network and received this car seat for free in order to facilitate this review. All opinions stated are my own. 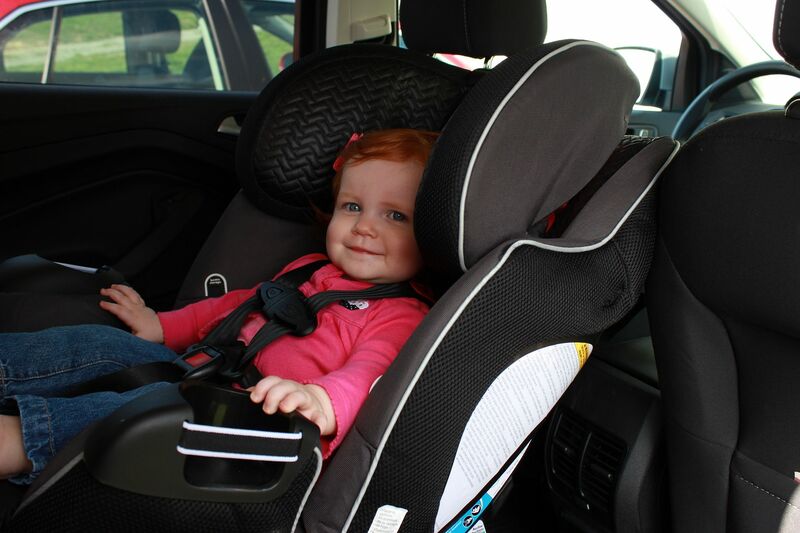 Probably one of our most used baby products is the car seat. Anytime we leave the house for more than a walk, Baby K gets strapped into her car seat. In a child's lifetime, parents will more than likely buy three car seats at the very minimum (more if you have two cars with busy parents). Those three car seats are usually an infant seat, a convertible seat and a booster seat. 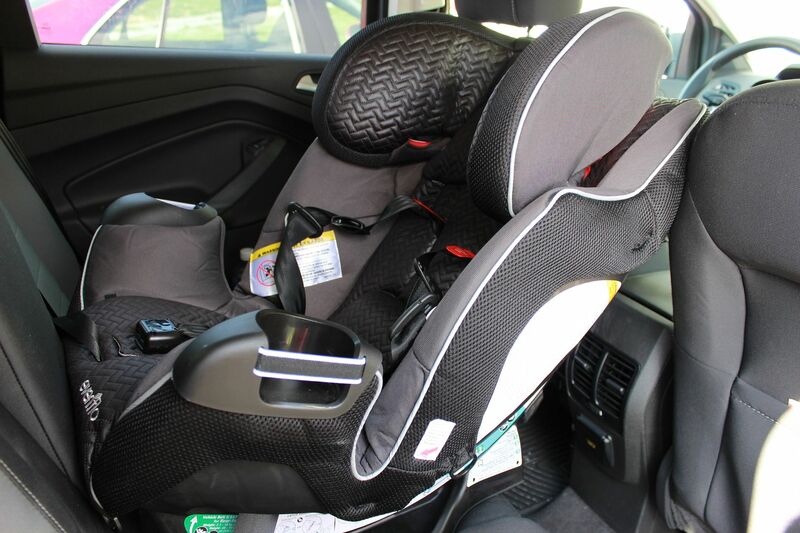 Purchasing three car seats for each child can get pretty costly. 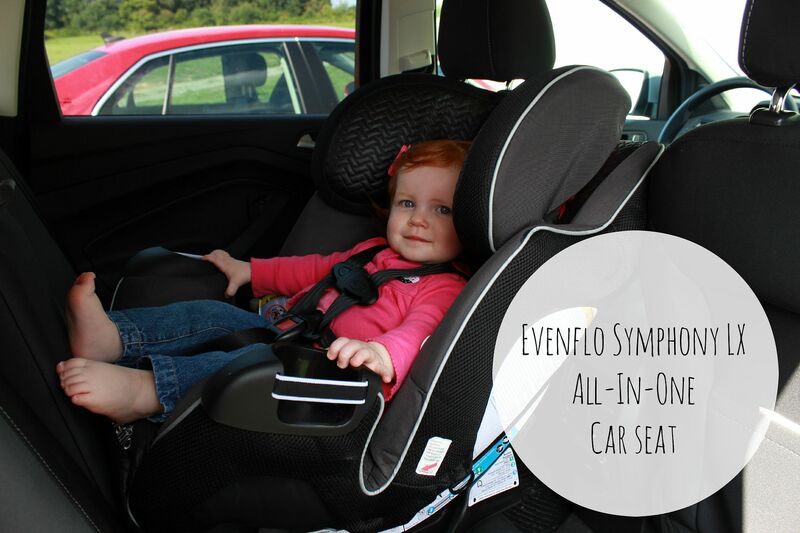 Which is a huge reason that I am so glad to have found the Evenflo Symphony LX All-In-One Car Seat. I wish we had this car seat when Baby K was first born because we wouldn't have had to purchase multiple seats, but at least now we won't have to worry about purchasing a booster seat when she gets bigger (this seat can hold up to 110 pounds!). There are absolutely so many features that I love about this car seat, it will probably be best to list them out. 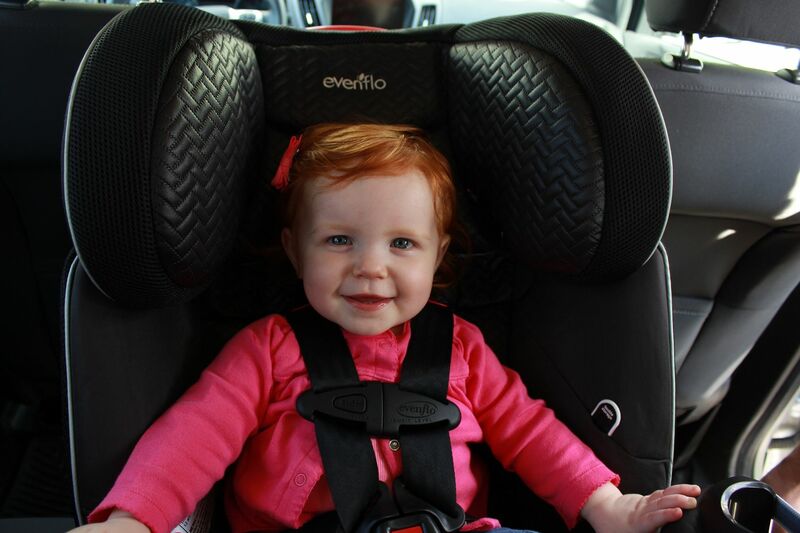 In no particular order, here are the many reasons the Evenflo Symphony LX All-In-One Car Seat rocks. 1.) Easy installation - Easy, peasy installation for sure!!! 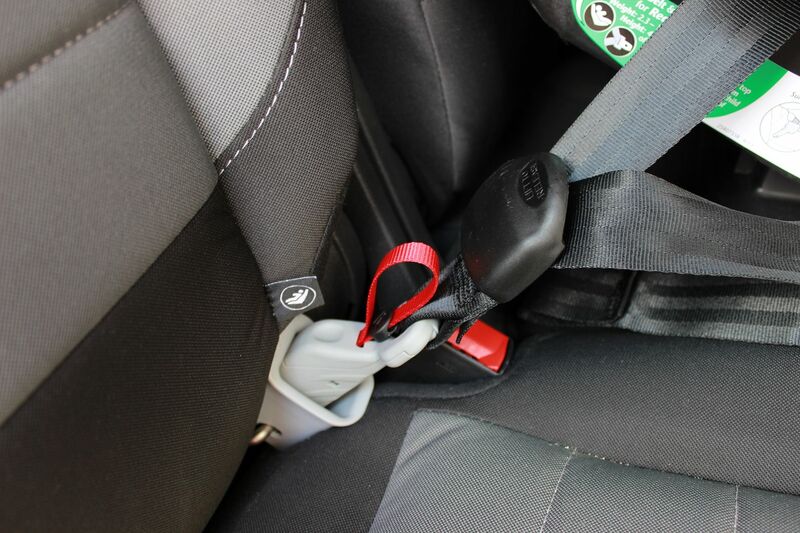 This car seat has a trademarked Sure Safe System that makes installing it so simple. The seat comes with Quick Connector Latches and Guides that take the guess work out of locating the anchors in your car. 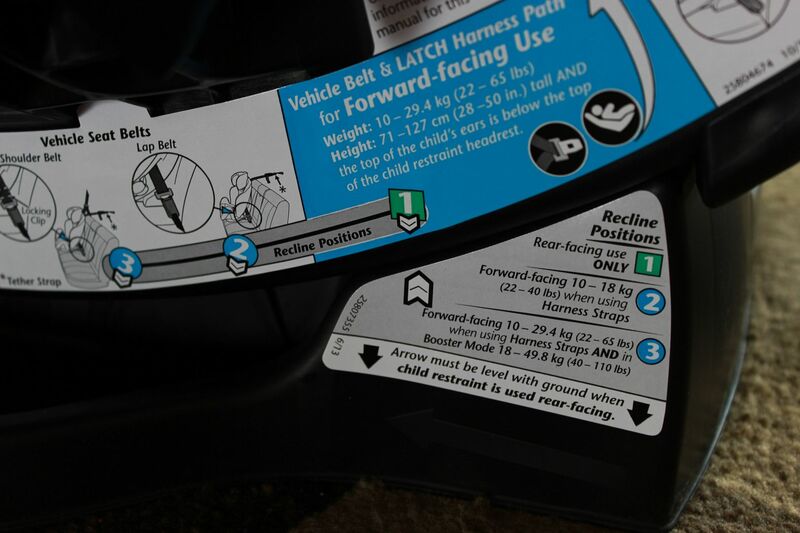 The latch guides act like a tunnel, making it so easy to clip the car seat in and detach it if you need to move the car seat to another vehicle. 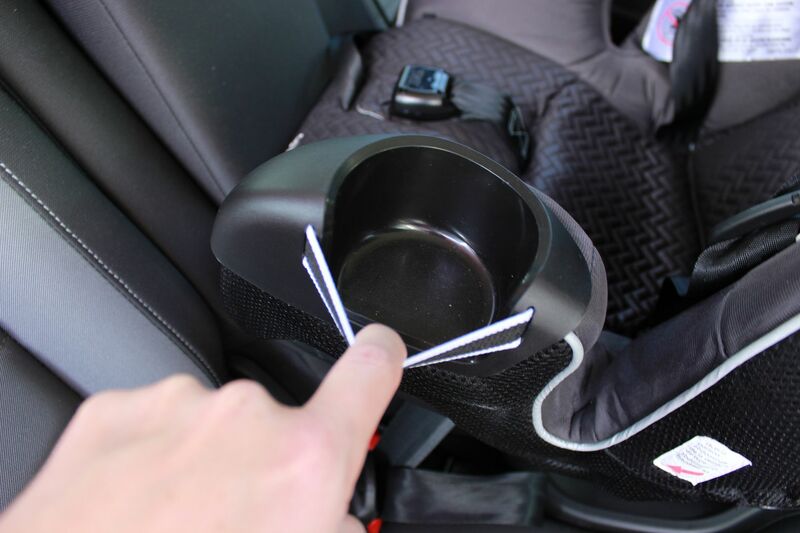 Using the Sure Safe System you can actually attach and detach the car seat with one hand. 2.) Side Impact Protection - Safety is VERY important to us when it comes to selecting baby products and this seat does not disappoint. The Evenflo Symphony LX comes with e3 Side Impact Protection featuring three layers of engineered foam designed and tested to reduce side impact forces up to 50%. Knowing that my baby will be protected in case of a car crash definitely helps me sleep better at night. 3.) 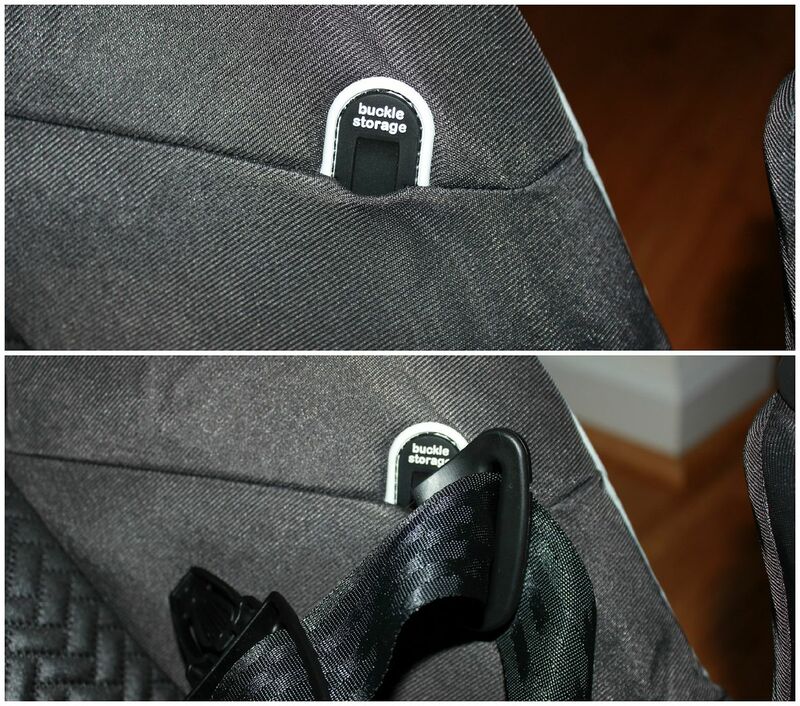 Buckle Pockets - This is a dream feature in a car seat. Evenflo has designed actual deep pockets where you can stick the metal part of the buckle, keeping the straps out of the way when you are loading baby into the seat. I hate having to search and dig under a squirmy baby to locate the straps; with these buckle pockets the straps stay put until I need to insert them into the buckle. Plus, with this feature, you are keeping the metal buckle from being exposed to direct sunlight, eliminating the fear of burning your child from a hot buckle. 4.) Easy Reclining - The Evenflo Symphony LX comes with a guide on the actual car seat that helps you easily recline the seat into the proper position depending on the weight of the child. All you have to do is match up arrows, so easy! And a bonus once you turn the car seat to a front facing position, you won't have to take the car seat out of the car in order to change the recline! 5.) Adjustable Cup Holders - There are not one, but two awesome cup holders included. And I love that the holders are adjustable in case your child has a large cup that doesn't fit into a standard size cup holder. 6.) 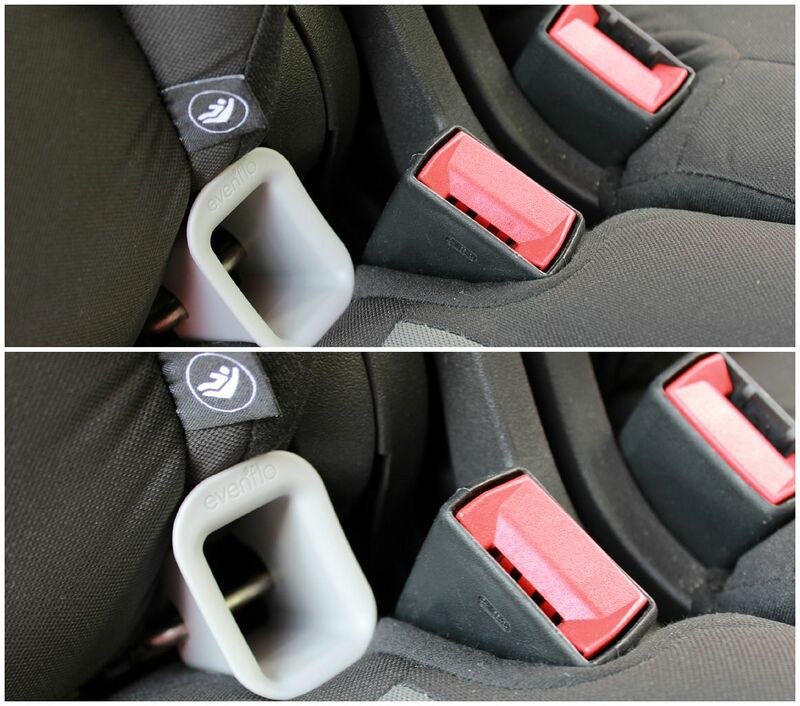 Removable Cover - It happens to the best of us, milk spills and cracker crumbs get squished into car seats all the time. I love the removable cover so I can easily slip it off and throw it in the wash for a quick clean up. There are snap guides all over the car seat which help me slip the cover back on and make sure that it is put back on properly. 7.) Infant Slide Harness - As your baby grows, there is no need to re-thread the straps because there is a slide system set up that adjusts when you need it to. No need to take the seat out of the car to move the straps up to shoulder level. I just can't say enough how great this car seat is. And the fact that it will last through all three stages of the car seat evolution is simply amazing. One thing I haven't documented because Baby K is no longer a newborn, is that the seat comes with a removable head and body pillow, allowing extra head support for a newborn without neck control. And the headrest grows with your child! Evenflo has really thought of everything. For anyone considering buying this product (which you should), be sure to click this link to get a coupon giving you $10 or even $15 off (The coupon widget is hosted at the upper-right corner and bottom of the page.). I HIGHLY recommend this car seat. Hands down! Baby K approves this message. I don't have children yet. I will have to so keep this car seat in mind.